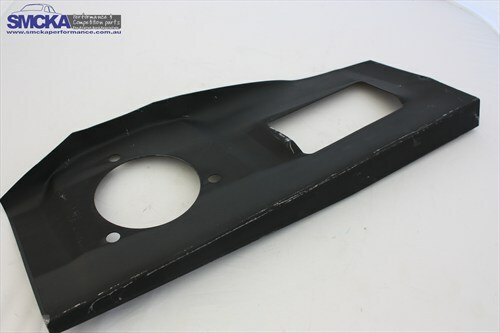 Top replacement strut plate extending from strut top backwards to the firewall/bulkhead. Left hand side. Top replacement strut plate extending from strut top backwards to the firewall/bulkhead. Left hand side. Suits all Mark 2 Ford Cortina models.